Beginner's guide to bitcoin- Everything you need to know about btc currency. - Wonga.top #1 bitcoin news blog. Home 1 bitcoin bitcoin btcoins coins faucet satoshi tutorial value Beginner's guide to bitcoin- Everything you need to know about btc currency. Beginner's guide to bitcoin- Everything you need to know about btc currency. The world is changing and getting advance daily. Introduction of technology is a thing of the new age. Tech systems used in 80's and 90's is different as of today cause such past tech has been upgraded to superb high advance technologies. In our world of today we getting use to cashless bank , information & communication technology , robot, superb automobiles, computers to carry out logical operations automatically . digital electronic currency and peer-to-peer version of electronic cash. To make you understand this definition I"l break it down. •cryptocurrency - is an encrypted digital system used in generation of units of currency. •decentralized - it's an organization in which operations ,decision-making are delegated managed by individuals. You take full responsibility of your system. Meaning there's no central bank or institution that has control over your Bitcoin cryptocurrency . 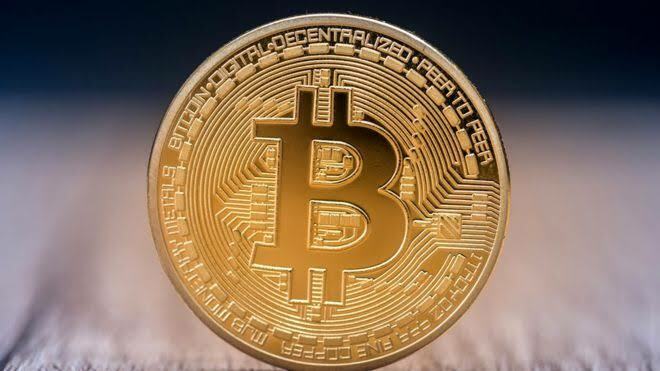 •peer-to-peer [P2P]- You have 100% control over your electronic currency[ bitcoin] , you decide who to share your btc coins with, There are no banks involve, Free of middle man to manage your funds. Most people still see bitcoin as a ponzi/scam scheme. Cause they're ignorance of bitcoin value. The world is going cashless or paper less you not mining or investing in bitcoin today you missing. Bitcoin [btc] is the first cryptocurrency is the world. It was first introduced 3 January, 2009 by an unidentified programmer (s) under the name Satoshi Nakamoto. The original paper was written in October 2008 as Peer-to-Peer [P2P] Electronic Cash System. After the paper was published, Satoshi created the first software program to begin mining. It was later implemented as open source code and released in January 2009. That same day Hal Finney a programmer one of the first contributor and supporter to bitcoin downloaded the bitcoin software, and received 10 bitcoins from Nakamoto . The 1st adopters who bought btc back in 2009 are millionaires or even billionaires today. 1 bitcoin cost $0.07USD in 2010 buying 1000 btc was $70. Bitcoin today 1000 btc coins $79,200 USD. Back in 2010, programmer Laszlo Hanyecz bought 2 large size pizza for 10,000 Bitcoins value today $792,0000 😂😂😂😂😂. Wish he had patience to save his bits till today. check out this free mBTC faucet bitcoin sites that pays you each time you perform a task. •A Satoshi is the smallest fraction of a Bitcoin that can currently be sent: 0.00000001 BTC, that is, a hundredth of a millionth BTC. In the future, however, the protocol may be updated to allow further subdivisions, should they be needed.